*Note:If you are on Magento 2.x.x and trying to set up Calendar , you will need to email support@shipperhq.com and ask for access to private satis repository for ShipperHQ’s module-calendar and module-pickup packages. If you are using any form of time in transit capabilities (estimated delivery date/time or a calendar) then its necessary to set up the date based information. 1. Under the Live Rate carrier (UPS, FedEx, or Pitney) look for the Calendar panel. 3. When Estimated Delivery Date or Estimated Time in Transit are selected, you can update settings around Lead Times, Cut-off Times, or Blackout Dates. For specific details on these settings, visit this article. Now your Live Rate Carrier will show Estimated Delivery or Estimated Time in Transit with the Shipping Rates and methods. 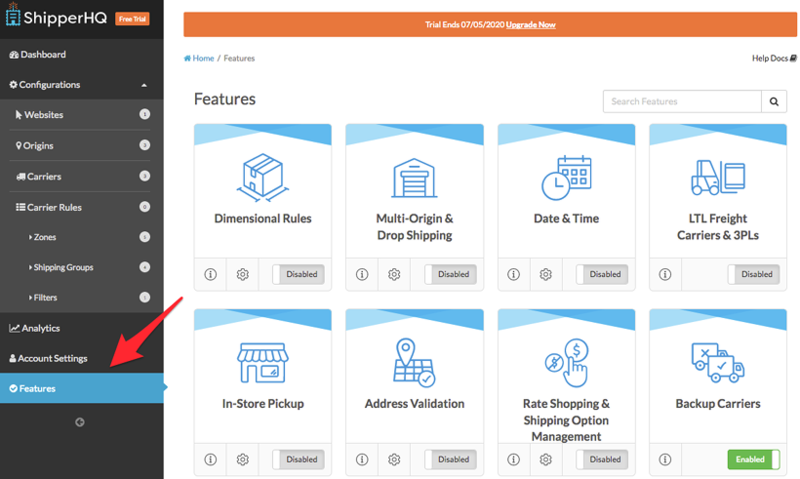 On Table Rate Carriers, you can set Lead Times against your custom shipping methods and set additional Calendar Settings. 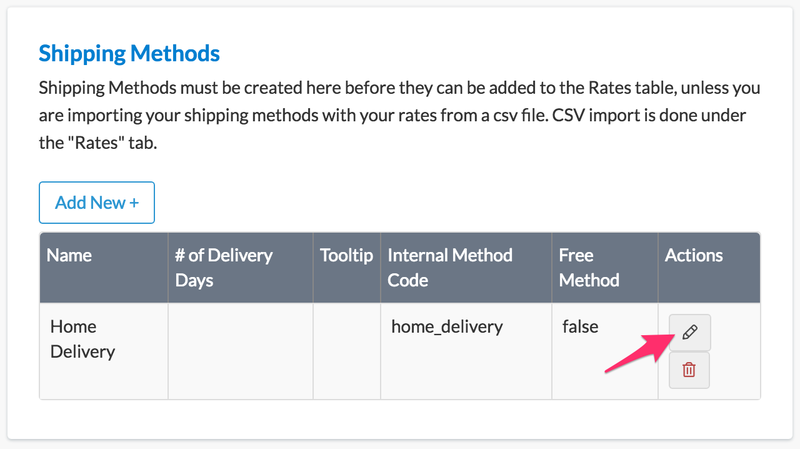 In your Table Rate Carrier, under the Basic panel, go to the Shipping Methods section. Edit your methods to add Lead Times. The leads times you set here will affect the Estimated Delivery shown against the method. After lead times are set against the methods, Save the Carrier. 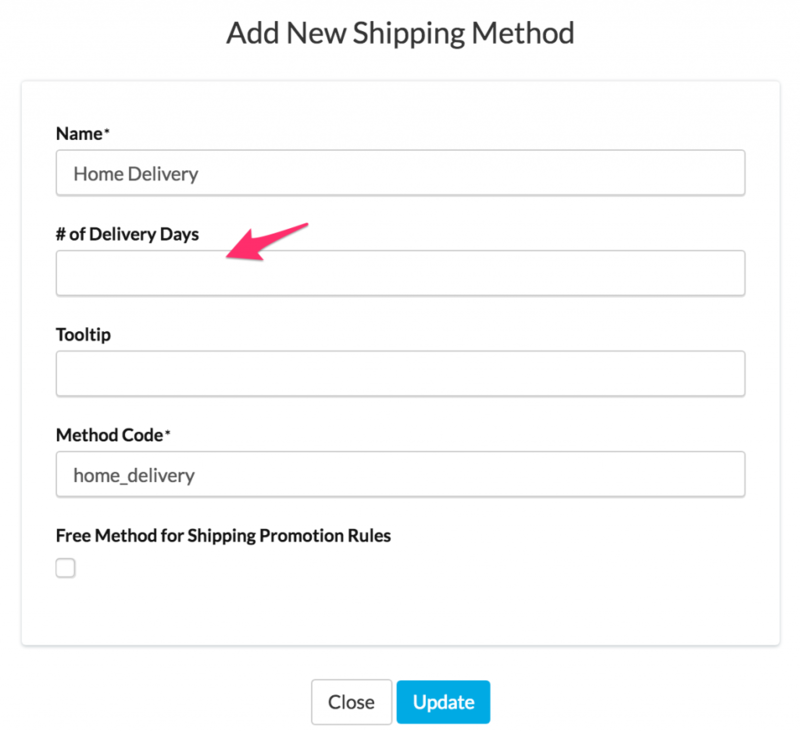 You should now be set to show Estimated Delivery, or estimated Time in Transit against shipping methods. For more information on customizing the text displayed for your estimated delivery dates and time in transit, read about our explanatory text on the checkout.